Do you like the picture? My incredibly sweet and talented sister-in-law took it for me. She's a pretty amazing photographer. Her and her husband spent some time visiting with us from Texas. We had a lot of fun and spent time catching up. We had beautiful weather, perfect for sitting outside on the patio, enjoying good company, good conversation, and sipping a cool glass of sangria. I've made this two times, and on both occasions, a full pitcher didn't last long! Just mix everything together in a large pitcher. Feel free to change the kind of wine or fruit to what you like or what you have on hand. Find more great drinks in the recipe index! 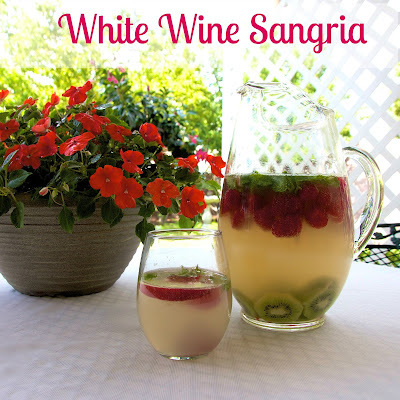 Inspired by this pin for white wine sangria. Perfect timing - going to a gathering tonight and will be taking this. Thanks! Thanks for the invitation Marilyn! I linked up! Thanks for the invitation Maria! I linked up. I love a good sangria, can't wait to give it a try. Thanks for sharing! yum! I love sangria. a local winery does a sangria wine that I get every year-it's so refreshing! Hi I love Sangria, and I can't wait to try this. I saw it on wow me wed.
Wow, it does look amazing and the picture is wonderful! Love this...so many times sangria just has too many ingredients. This looks yummy and simple. Kudos to your sister-in-law for a fantastic picture. Food (and drink) photos are not easy. It is simple! Just pour, mix, and enjoy! Hi and once again I have to say that this Sangria looks so good and I will serve this at my next party! Ummm a big ole yes please! Thanks for sharing. Sounds so good! It looks pretty too. This looks so good! What a great, refreshing drink on a hot summer day! Sangria is my Summer fave! Thanks for linking up at #LOBS!!! Nothing says party better than a great Sangria! I love the kiwis added to it! Thank You for sharing and I'm pining it to my Thirsty have a Drink Board!!!! came over to visit you from the Taylor House pinning party! This looks so refreshing! Love white Sangria. Thanks for sharing! The picture is fab and it looks ever so refreshing! Thanks for sharing with SYC. I love a nice simple sangria recipe! This looks pretty and delicious! 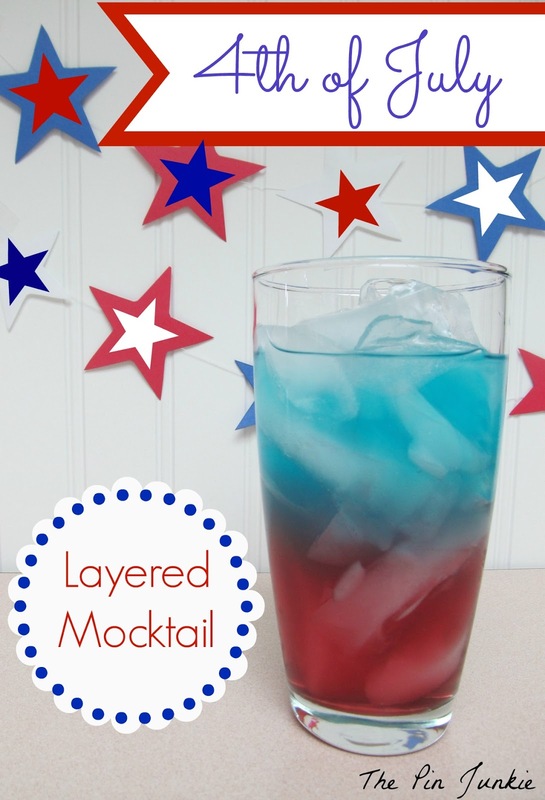 This looks refreshing and so festive! And what a gorgeous photo! I'm tweeting and pinning. Thanks for the recipe!! Have a lovely day! Very refreshing! Thanks for linking to my Pin Me Linky Party. Things sounds really good!! I've always wanted to make a sangria. Pinning this. Thanks for linking up at Romance on a dime!! Oh yum!! It looks (and sounds) amazing!! The picture is beautiful too - she's great with her camera! :) Thanks for linking up at Tell Us Tuesday, too! You were one of the featured posts for last week's link party too - check it out and grab a featured button if you'd like! Thanks for the feature Lauren! I added your button to my features page! So interesting that the secret ingredient is fresca... Will have to try it! So glad to have you linking with us at our Thursday Favorite Things Blog Hop. I love these peeled kiwi slices in this jar..!!! Thanks for the invitation Becca! I linked up. Thanks for the feature Maria! I love Sangria. I've pinned this to try later! Sounds so refreshing, now if only summer would return around here so we can still enjoy fruity beverages outdoors! Found your link on Show & Share Wednesdays! Thanks for including this in your roundup Nancy!